Are you 100% confident you can handle it? If not, watch this excerpt from my popular “Stop Screaming at Me” customer service video training. Like this training? Want more? Please read below. 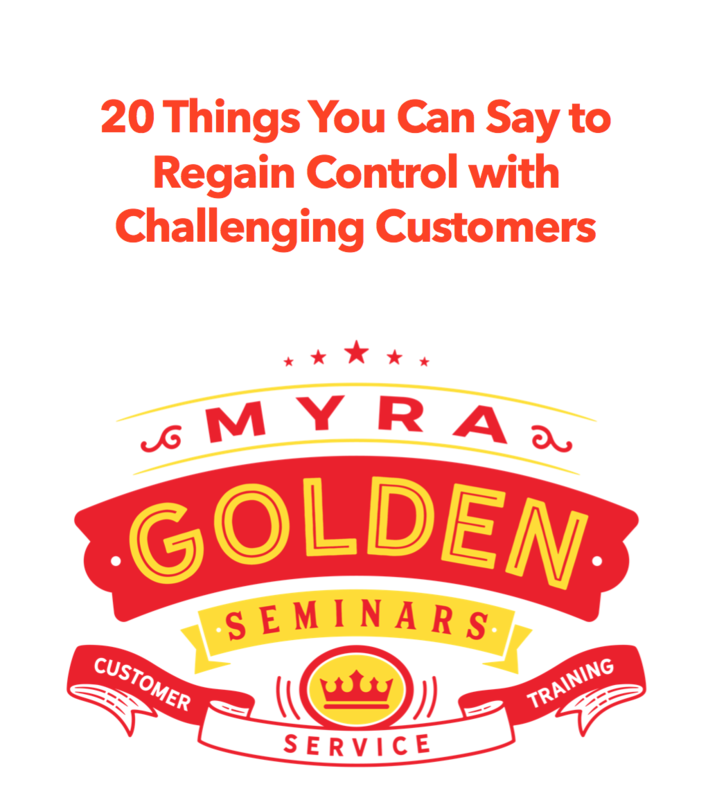 I promise, after just 90-minutes with me in this special “Stop Screaming at Me” workshop, you will be inspired and thrilled with how much more effective you can be at getting angry customers to back down! And once you’ve gotten a taste of using verbal self-defense tactics and a little psychology on difficult customers, you will be completely STOKED! Get the full story here.